No matter what kind of exercise I’m doing, December is a challenge. Not so much because of the holidays, but because work is peak crazy then due to our annual fundraiser. So my only priority last week was to get a run in. It was a challenge, but not the one I expected it to be. 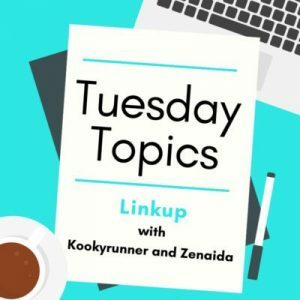 As I briefly mentioned in my 15K recap, I tried to run last Monday but legs just said nope. The next time I got to the gym was Thursday and because I didn’t leave the office until nearly 10PM and the gym closed at 11, it was a quick mile. 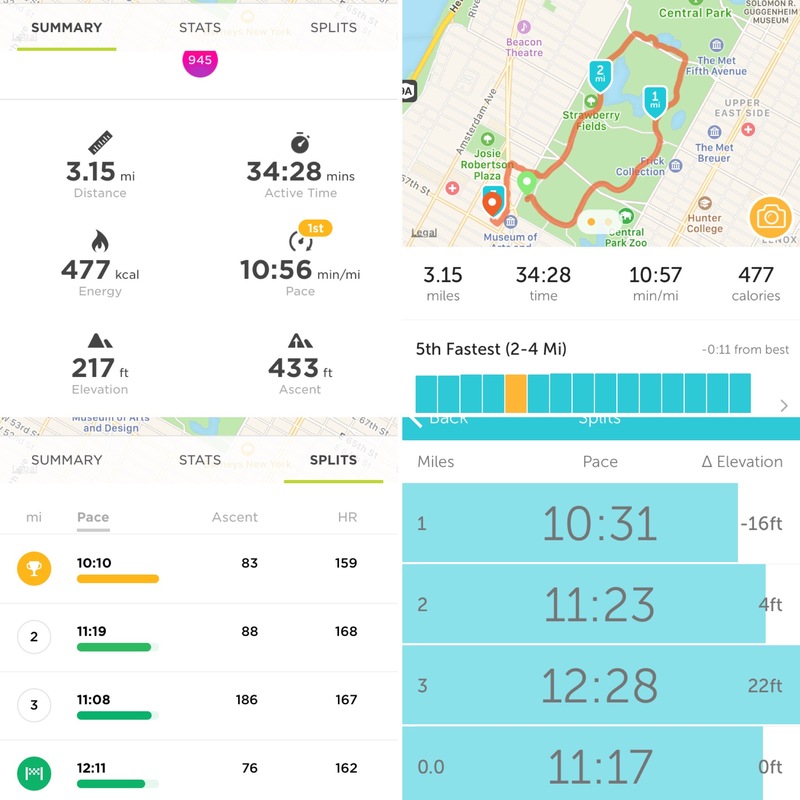 Saturday presented the first opportunity to actually run and Central Park was gorgeous and snowy. When I first left the building I almost noped out of an outdoor run and headed to the gym but knew I’d need the distraction of a view. I also knew I needed to tackle the Harlem Hills. I don’t know what was up with this run. It’s the first longer run that I’ve done with the hills in some time, i.e. since June’s 10K, but I just felt like I had no additional gear to switch into. My get up and go got up and went. Still, it felt good to shake some cobwebs from my brain after some late nights even if the pace was meh. Speaking of meh, I struggled in Sunday’s High45 class and I’m really not sure why. Maybe general lack of sleep. I’d been aware of what I was eating and generally not living on sugar, but I found that I needed to walk rather than jog to recover. I was definitely pushing the high level 3s and trying to keep up the incline, but I don’t think that was the issue. At least it shouldn’t have been. It was a morning class like my first, but maybe I was more tired from work? Who knows. I’m not giving up on the classes as I really enjoy them. 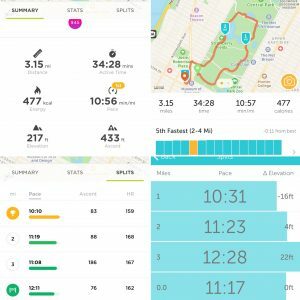 Tuesday, I gave NYRR a try with their #Run5Give5 party and I’m not ready for prime time there even when they say all paces are welcome. I couldn’t figure out why I was struggling so hard in mile two (and as a consequence turned a 5miler into a 5K) until I looked at my splits when I got back. 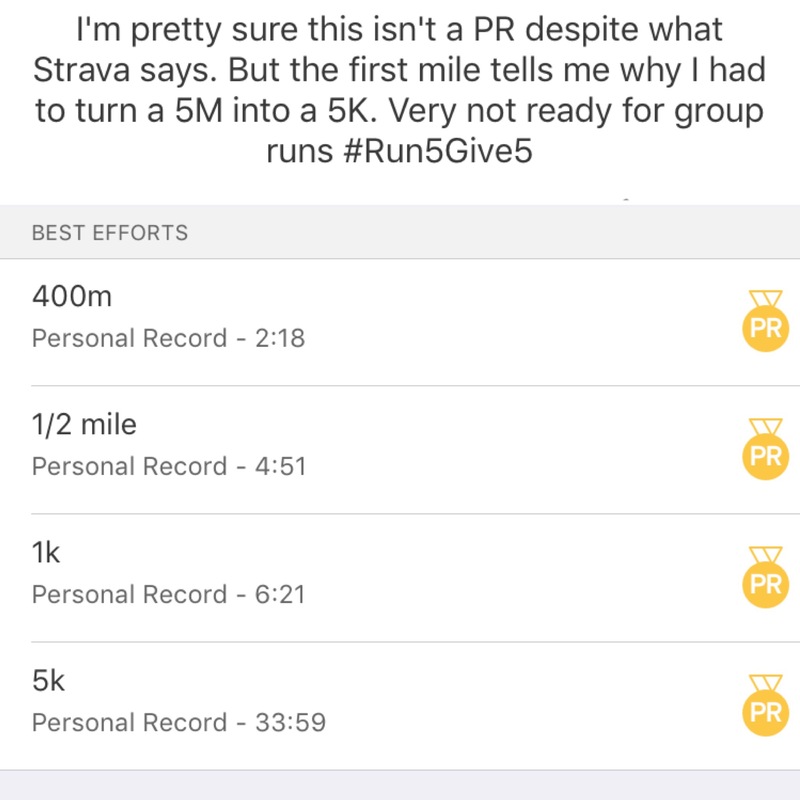 It wasn’t a PR, although I don’t know why Runkeeper is so far off from both Strava and my watch. But that 10:10/10:31 over the first mile which included Cat HIll? Not sustainable at all. I’m kind of glad the next session of group training sessions are sold out because that first mile came from trying to keep up with the back of the back. 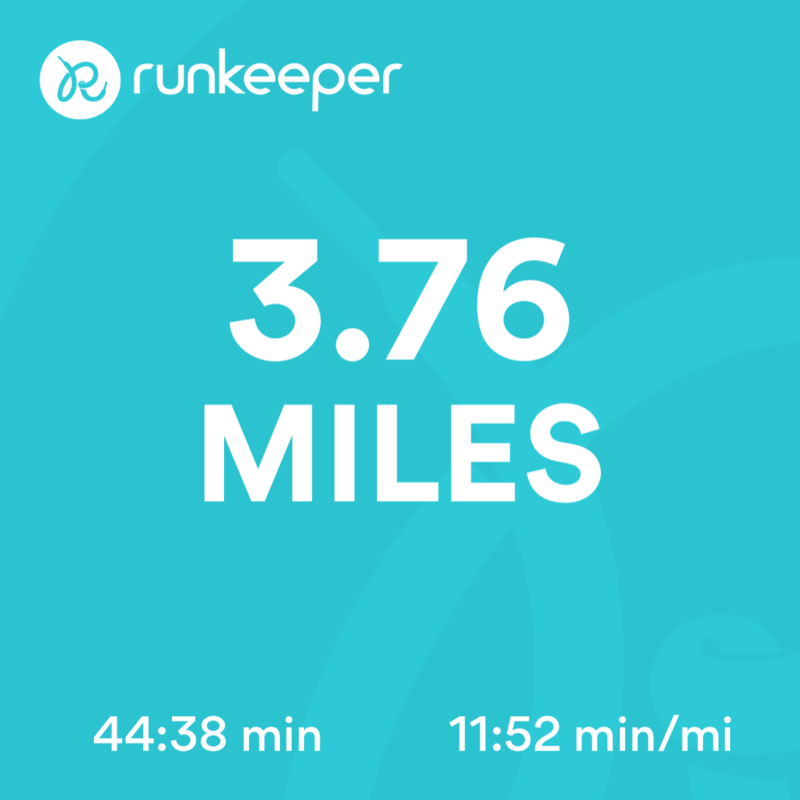 Had a lovely conversation with the Team for Kids and Group training coaches who were bringing up the rear, but I definitely couldn’t maintain the pace. Not all bad, because looping at 79th vs. going up to 102nd gave me Belvedere Castle, which is always gorgeous. 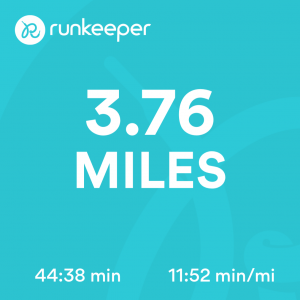 I was exhausted after Monday’s event and an overall long week, but I was glad to get a run in. 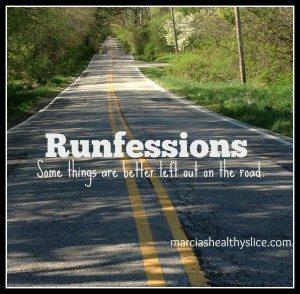 I don’t think not being ready for group training is a bad thing less than one year after I started running. It’s a goal to work toward. 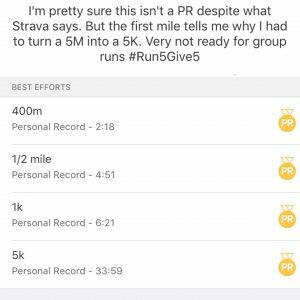 This week’s #Run5Give5 challenge is to share your most significant run and with so many good ones, I don’t think I have one to share. The Frozen Penguin comes to mind, of course, but I’m equally proud of all my firsts at every distance. Overall? Still not sure. Thinking maybe my legs needed longer to recover from 15K than I expected? We’ll see what this week looks like next year. Look forward to getting back into my routine after Christmas. A little worried about my January race as I’m definitely undertrained, but not going to stress. It’s a closed course, and at worst I give up and go home. I don’t think I will, but it’s not the end of the world if I do. 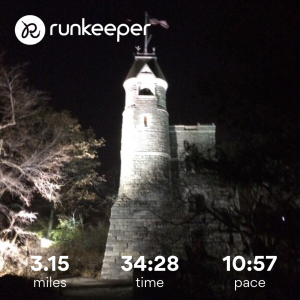 They say you need a day to recover for every mile … and remember you’d have not found that pace meh a year ago! Well done for all your running esp at such a busy time of year!